Many people have difficulty in reading and understanding the Bible, especially the Old Testament; do not give up ! The Bible: sixty-six books by forty authors, written over some 2000 years in different genres…..yet it is one story ! It is no ordinary book. How can you and I begin to read and understand the Bible as a whole ? VAUGHAN ROBERTS by using the theme ‘The Kingdom of God’, has written a helpful book : GOD’S BIG PICTURE. The book will help you to become familiar with the Old Testament, discovering how the coming of Jesus is promised and anticipated right from Genesis – the author’s aim is to give an overview of the main storyline of the whole Bible. You will not find this book “heavy” or “theological”; it is easy to read. Besides, each chapter can be used as a personal or group bible study, with suggested questions. Why not borrow it and benefit ? You can find it on the display shelf in the Activities room. 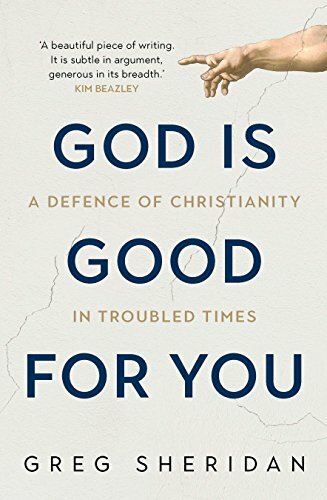 “GOD IS GOOD FOR YOU – a defence of Christianity in troubled times“ is a great book. It is Australian, well written, contemporary, compelling and convincing. The author GREG SHERIDAN is the Foreign Editor of “The Australian” newspaper; the well-known and much appreciated commentator on world affairs. Part Two : Christians record some interviews with politicians which will surprise you. Then follows : Ordinary extraordinary Christians, which is inspiring and ends with Bold minority – the future for Christians and their churches in Australia. I cannot begin to review this great book – You must read it ! Borrow or buy it; it was published only a few weeks ago. It is relevant to each one of us ! Find it on the Foyer display unit. 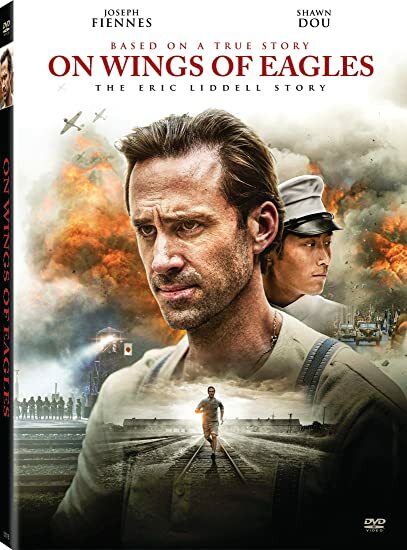 “On Wings of Eagles” The sequel to “Chariots of Fire”. The continuing story of former Olympic gold medalist Eric Liddell who married and returned to China to serve as a missionary in 1927. Despite the Japanese invasion of 1937 Eric refused to leave, determined to serve God. Even enduring internment and the depravity of war, Eric Liddell always held on to Hope. Note : THIS FILM has an “M” rating for violence. Jesus Christ has made an indelible mark on human history and he continues to do so through His followers. In this series of studies one comes to realise how our western democratic values originated and are built on the life and teaching of Jesus. Topics such as Equality, Forgiveness and Care challenged us as we watched the DVD, hosted by Karl Faase. Karl interviewed modern-day authors and academics from around the world, and we appreciated their comments and personal stories on these topics. Written study notes and questions are available online. 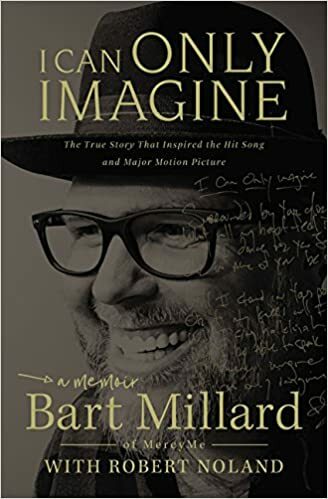 A very moving story of Bart Millard, a member of the music group Mercy Me, and the power of the Gospel. Music became Bart’s escape from the emotional and physical pain endured during his home life. Only by facing his fears and forgiving his father was he able to see hope. 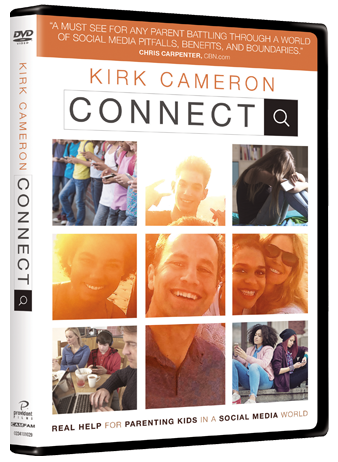 “CONNECT” This DVD by KIRK CAMERON is “a must-see for any parent battling through a world of social media pitfalls, benefits and boundaries”, so it reads on the box. “CONNECT” engages you in encouraging conversations and constructive dialogue to prepare you – the parent- to train children and adolescents for a life in the digital age. Guiding them in a world where un-truth are accepted as fact. Attitudes like : I have a right to be happy, or, I am my own authority, I do not need teachers, just information . With six kids, Kirk Cameron fully understands today’s parents’ dilemma, so he went to experts and what he learned will enlighten, challenge and encourage. Loving people you are stuck with ……… a forgiving heart. Hearing God’s music ……… a listening heart. Finding gold in the garbage ……… a hope-filled heart. DOES LIFE MAKE SENSE? This the autobiography of FRIDA NEF. Simply and sincerely told, this is an adventurous life story from childhood in the Swiss Alps early 20th century, in a family struggling with alcoholism, poverty and low- paid work. Frida’s discovery of God’s presence and her long road to fulfil her dream to be used by Him to change the world, is a story of adventure and fulfilment. Today, a century later, living conditions have greatly changed, yet the call and challenge to follow God’s guidance remains; be inspired ! International bestseller SIMPLY CHRISTIAN, by TOM WRIGHT. Whether you have been a church member for many years, or whether you are just looking into what Christianity is about, this is a beautifully, skilfully written book in an easy to read style. Just before he left, Rev. Doug. 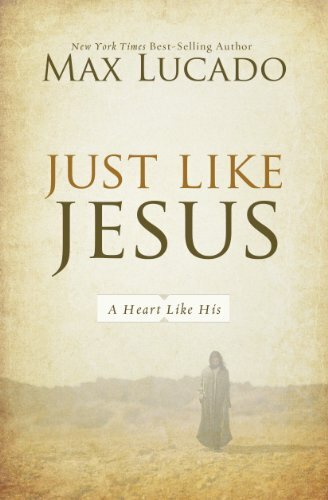 Hosking read SIMPLY CHRISTIAN and highly recommends it. Turn from TV or computer and delve into this book to be refreshed and inspired to live a Christian life in today’s world. Also, we have some new titles in the Fiction Section, so come and browse soon. In THE ADAM QUEST by Tim Stafford, eleven scientists of various disciplines describe their life experiences, where truths discovered in science and in Christian faith come together. This is an informative book for both believers and those who hold doubts. “If you have ever been troubled by the relationship between science, the Bible, and human origins, then this book is for you” comments John Ortberg on the book’s cover. Find this book on the ‘New Additions’ shelf in the Foyer.